Football/soccer is the world’s most popular sport. Football’s World Cup is held every four years and is the most anticipated sporting event. 2010 is a World Cup; it will be held in South Africa this time. With the World Cup often come various schemes to promote the event. One such promotional tool is what I will be sharing with you all today: FIFA World Cup application for iDevices. iDevices (iPods, iPhones, iPads) might already have football games but FIFA World Cup is the only official football World Cup game. While this makes the game unique, it is not the only feature that makes it special. 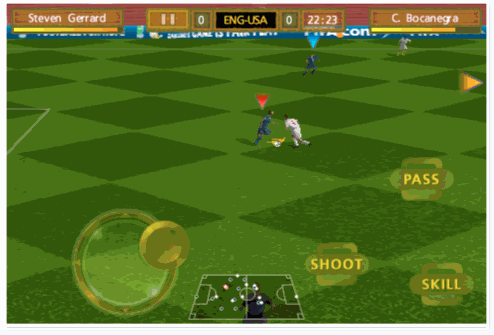 The football fields and stadiums included in the game have been made to resemble ones in South Africa on which actual matches will be played this year. People who have tried out the game have commented on its brilliant visuals. What has also gotten attention from the players is the commentary of each match. According to one user, the commentary is lively, enthusiastic, and never repetitive. Playing a match well while being praised by the commentator adds to the overall excitement. 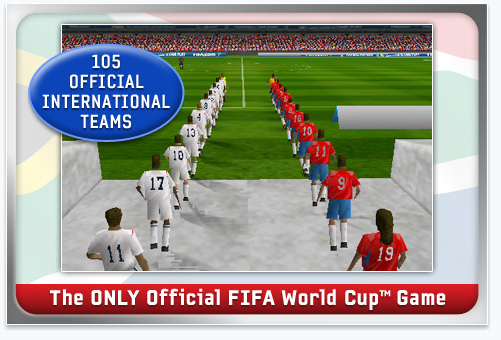 The game includes 105 countries that players can play from. Even if your country does not qualify for the real World Cup, FIFA World Cup lets you simulate a World Cup victory for your country; the “Captain Your Country Mode” in the game lets us do exactly that. The FIFA World Cup game costs $6.99 and can be found in games in the App Store or by clicking here. Previous Entry: Rumor: HP Slate is Dead? Next Entry: Is the Microsoft Courier Also Dead?